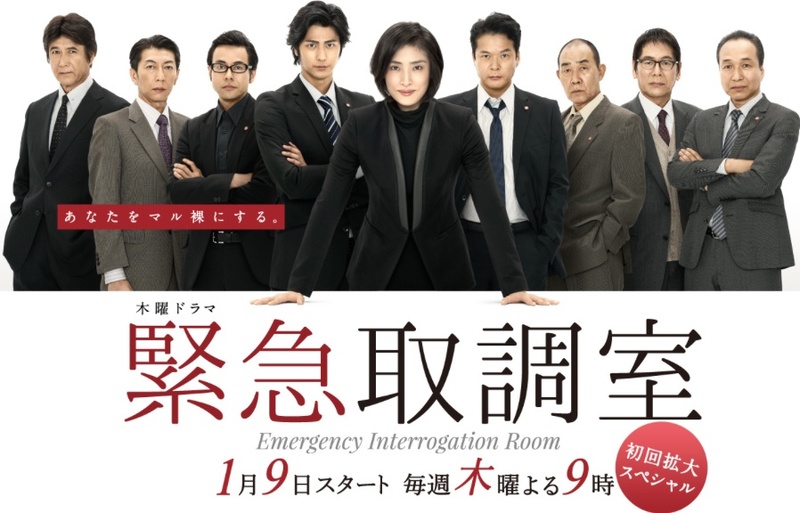 Yukiko Makabe (Yuki Amami) works at the #3 Special Investigation Team of the Metropolitan Police Department. She has excellent negotiation skills. Yukiko then attempts to negotiate with a hijacker on a bus, but something unexpected happens and her mission fails. Yukiko takes full responsibility and takes a transfer to a special interrogation team "Kintori". Her boss is Katsutoshi Kajiyama (Tetsushi Tanaka) and Yukiko has had a difficult working relationship with him in the past. Her other coworkers include Susumu Hishimoto (Denden), Zenjiro Nakata (Ren Osugi) and Haruo Koishikawa (Fumiyo Kohinata). A man with leather gloves asks a girl to place a can of cookies in the police substation. Because of this, a police officer dies. Tetsuji Watanabe (Mokomichi Hayami) and Daijiro Kenmotsu (Kosuke Suzuki), detectives from the # 1 investigation team, finds out the identity of the man in leather gloves. They believe the culprit is famous attorney Fujishiro who only takes on miscarriage of justice cases. Fujishiro vehemently denies his involvement in the cookie incident during his interrogation by the Kintori team. Around this time, a man turns himself in and takes responsibility for an explosion at a police substation. Actress Yuki Amami had her hair cut by 20cm to play her character. It's the first time her hair was cut that short in 10 years. Destiny Feb 11 2017 9:22 pm @Micc that's what I want to know. I keep looking for lead roles with him and none lately. Micc Feb 15 2014 9:35 am Why Mokomichi Hayami has such a minor role in here??? He is really going downhill since Zettai Kareshi. DragonSpikeXIII Dec 07 2013 9:57 pm Can't wait!